Steel Engraved - "On High Wings We Fly"
The German Power Metal Band STEEL ENGRAVED was founded in 2006 by Andy Straehler, Marco Schober, Chris Wende, Thorsten Zirpner and Anton Weber. In December 2009 Daniel Kieslinger joined Steel Engraved and replaced Anton Weber on the drums, Thomas Lang replaced Thorsten Zirpner on bass at the end of 2011. The first Demo CD was realeased in 2007 and is called “Fuel For Life” and gained many good reviews. The first longplayer “State Of Siege” came out in August 2010 at Stone Stallion Records and was a pretty classical tribute to the Heavy Metal of the 80′s. Since then the band´s sound developed continiously to modern Power Metal with some symphonic influences but never lost its classical roots. In 2010 the first european Tour was played with CIRCLE II CIRCLE and VICIOUS RUMORS. A tour as support for WASP followed in 2011. 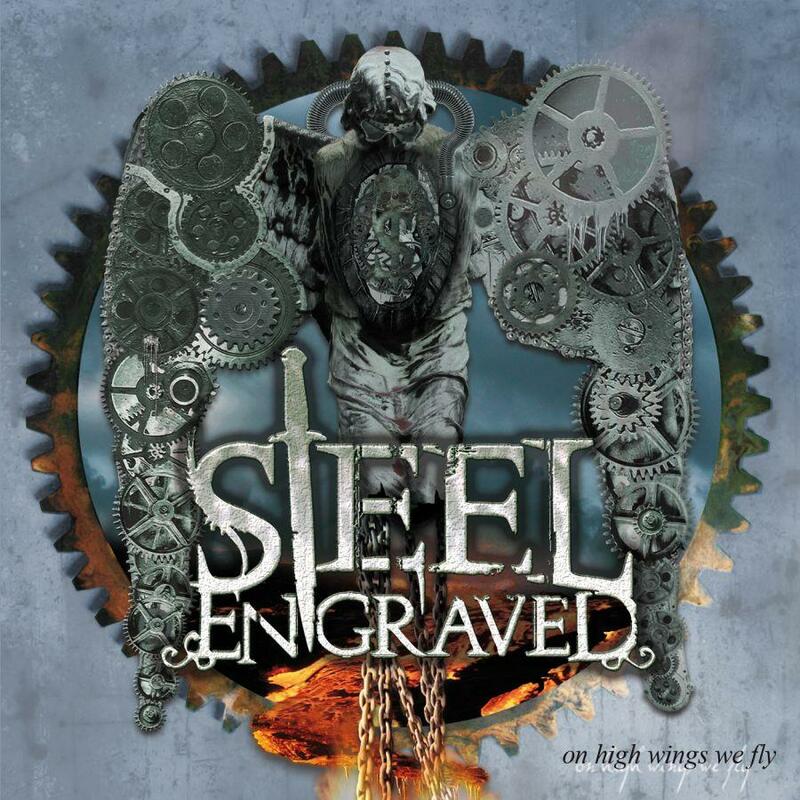 In 2012 STEEL ENGRAVED releases their new Album called “On High Wings We Fly” which is a straight piece of true German Power Metal. It was produced by VICIOUS RUMOR´s Mastermind GEOFF THORPE during January and February 2012.